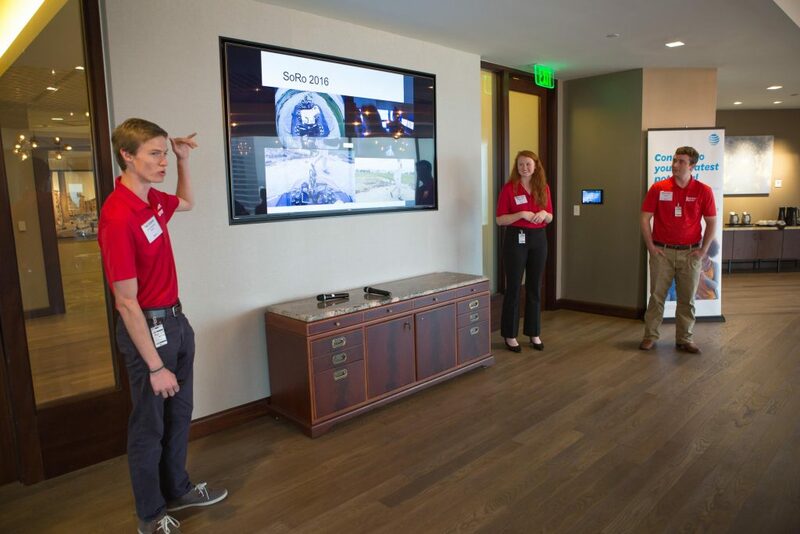 AT&T hosted the Sooner Rover Team at their offices in Dallas, TX on April 21, 2017. AME Board Member and AT&T Assistant VP of Technology Monica Browning Mitchell invited the team to tour the operations and labs in Plano, TX and to have lunch at the AT&T headquarters. The team had lunch with CEO Randall Stephenson, Chief Strategy Officer John Donovan and President of Technology Development Melissa Arnoldi. 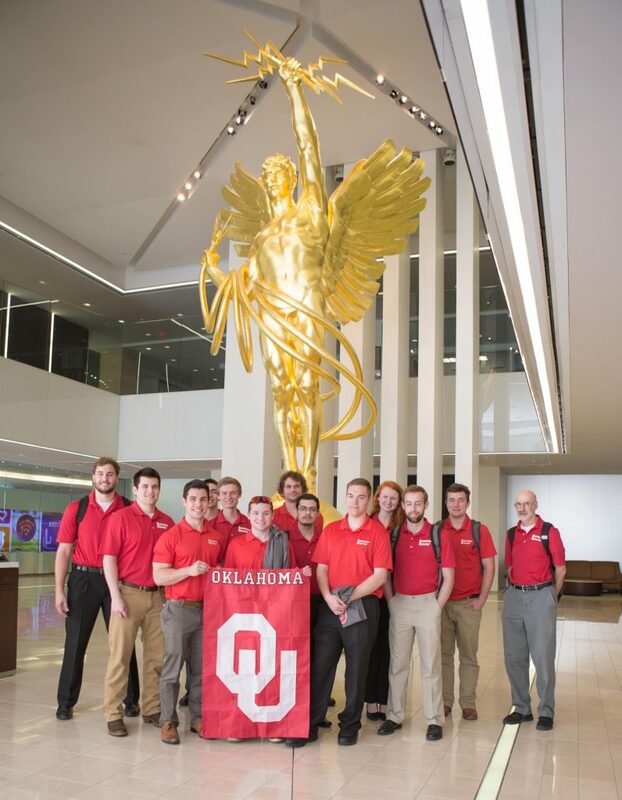 After lunch, the Sooner Rover Team traveled to Plano to explore the social media operations center and labs. The lab makes use of 3D printing and some forward-thinking engineering skills. 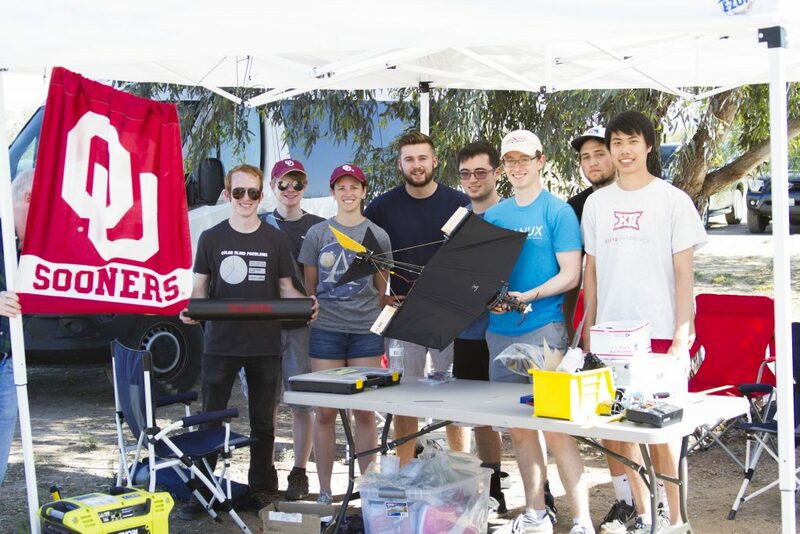 The Design Build Fly Crimson Skies team finished sixth out of 95 teams at the AIAA DBF competition in Tuscon, Arizona this year! 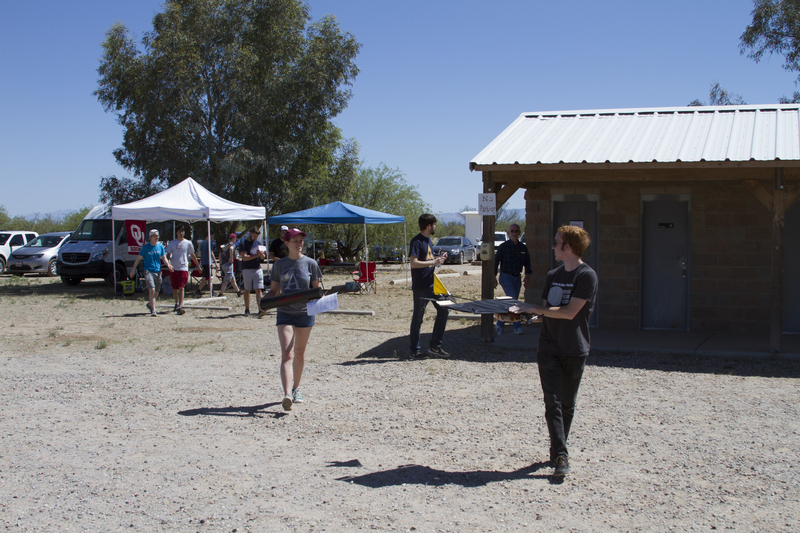 The team finished all missions and received many compliments from judges and competitors on the novelty of their inflatable fabric wing. SpaceX, Raytheon, Lockheed Martin, Textron, and Northrop Grumman were just a few of the companies on-site recruiting. A SpaceX recovery systems employee was particularly interested in our inflatable wing and came by our work tent several times to chat with students. According to the DBF rules, Student teams had to design, fabricate, and demonstrate the flight capabilities of an unmanned, electric powered, radio controlled aircraft that could best meet the specified mission profile. The goal was to have a balanced design possessing well-demonstrated flight handling qualities and practical and affordable manufacturing requirements while providing a high vehicle performance. 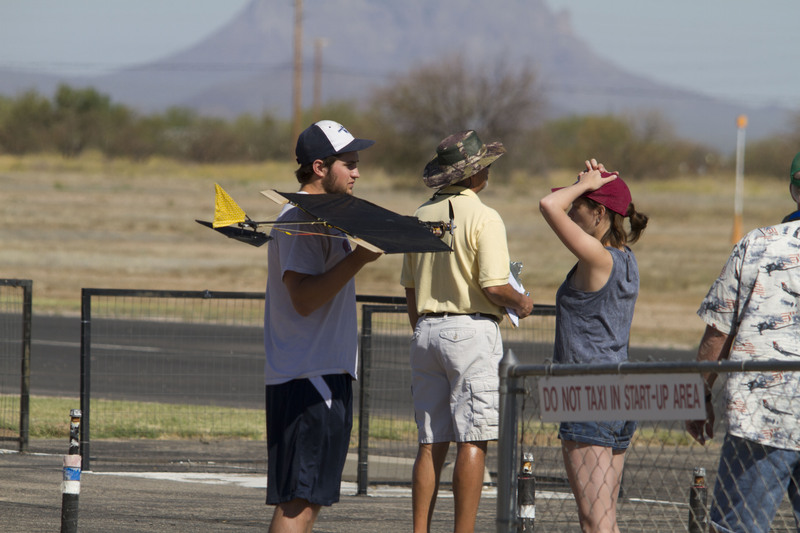 The objective for this year’s competition was to design a tube-launched UAV. The UAV must fit complete inside the launch tube, which also acts as the UAV handling and storage container. The launch tube must protect the UAV from damage during normal handling and storage. 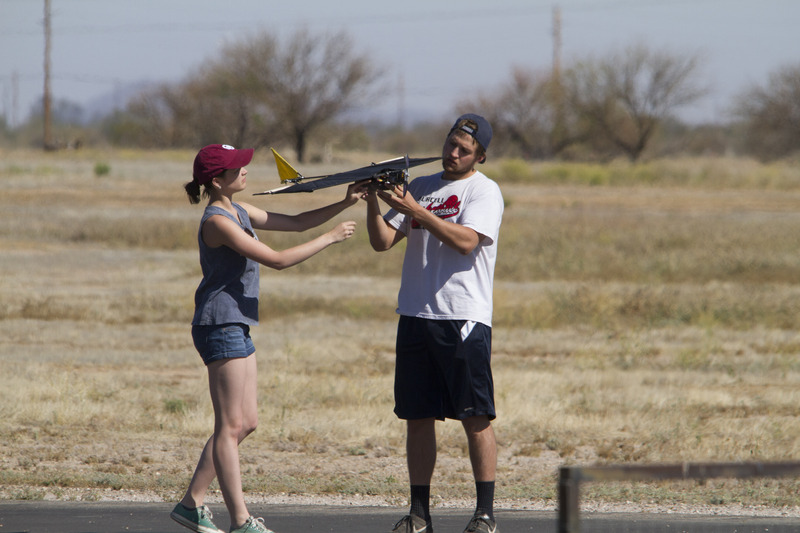 Upon removal of the UAV from the launch tube, all folded or stowed surfaces or features must move into the flight condition. 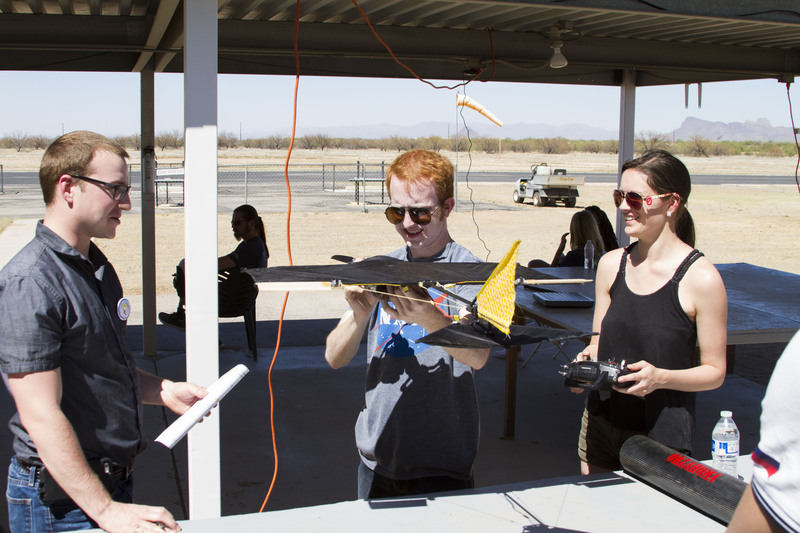 Teams had to design a UAV and launch tube that minimizes system weight while maximizing speed, range, endurance and payload capacity. DBF Crimson Skies tested multiple designs before creating the successful “Batwing II,” which is the given name of their winning aircraft. On April 19, 2017, The American Society of Mechanical Engineers (ASME) OU section elected their new officers for the 2017-2018 school year. Many of the busy mechanical and aerospace engineering members of ASME took time out of their schedules to participate in the election. There was a great variety of candidates who ran for positions and participated in many positive discussions. With great ambitions for growing the OU section next year, the candidates shared their ideas during the elections. After elections were completed, they immediately convened for a brief introductory meeting. 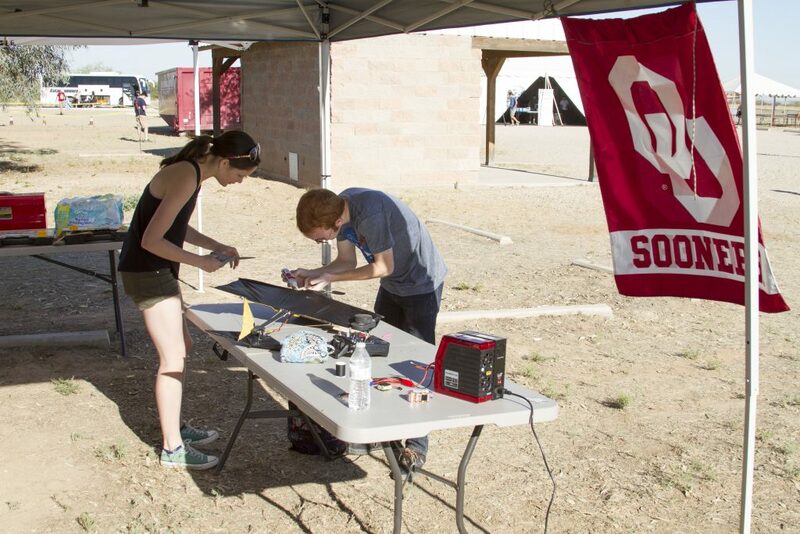 OU ASME recently spent a great amount of effort over the past academic year to foster greater engagement and a higher involvement on campus. The new officers seek to heighten the presence of ASME both on a school and college level and hope to do more for its members. 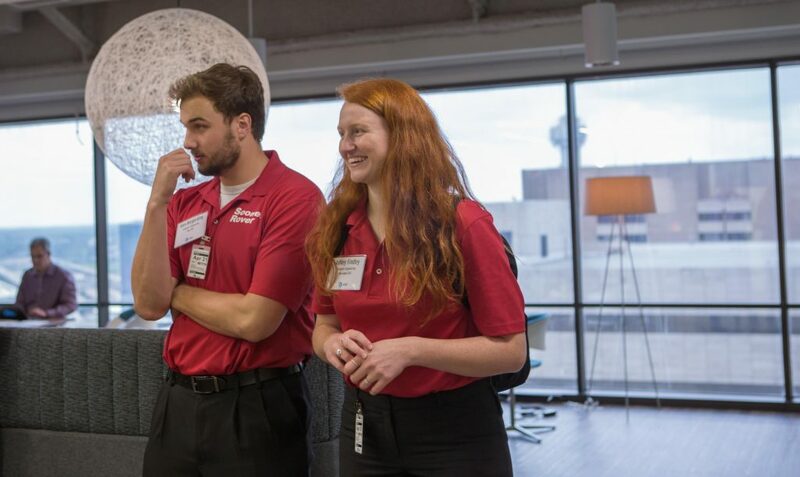 The new officer group hit the ground running with continuing events, including a tech talk with Chevron and joint study night with OU American Institute of Aeronautics and Astronautics (AIAA). Sam Tran Secretary (junior), Angel Szymanski Records Chair (freshman), Josh Scherrer Competitions Chair (junior), Clayton Smith Vice-Chair (junior, returning officer) , Janella Clary Chair (junior, returning officer), Shihui Liu Company Outreach Chair (sophomore), Aubrey Carr Engagement Chair (sophomore), Emily Sharp Treasurer (junior). Two AME undergraduate students received prestigious American Society of Mechanical Engineers (ASME) awards. Clayton Smith, junior in mechanical engineering, received the 2017 Tom J. Love Award. 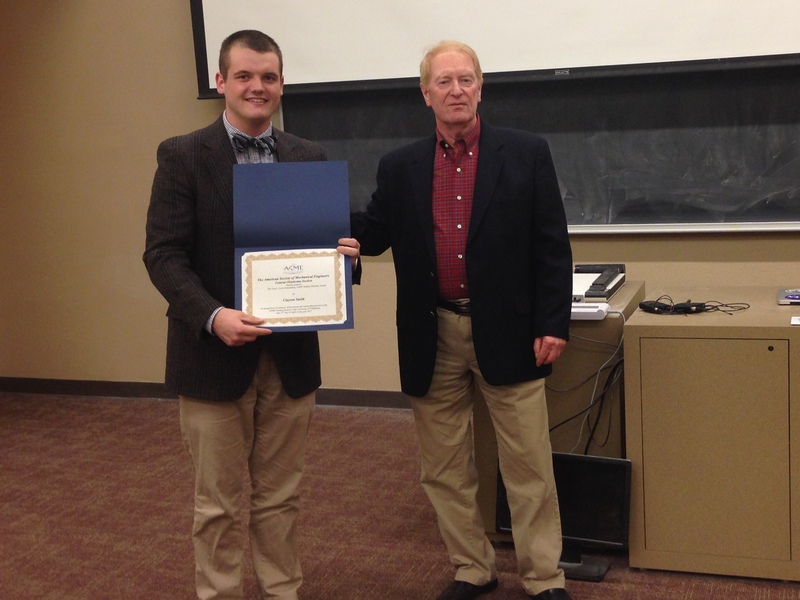 This is an outstanding student member award given to the most active student member of ASME at the University of Oklahoma. 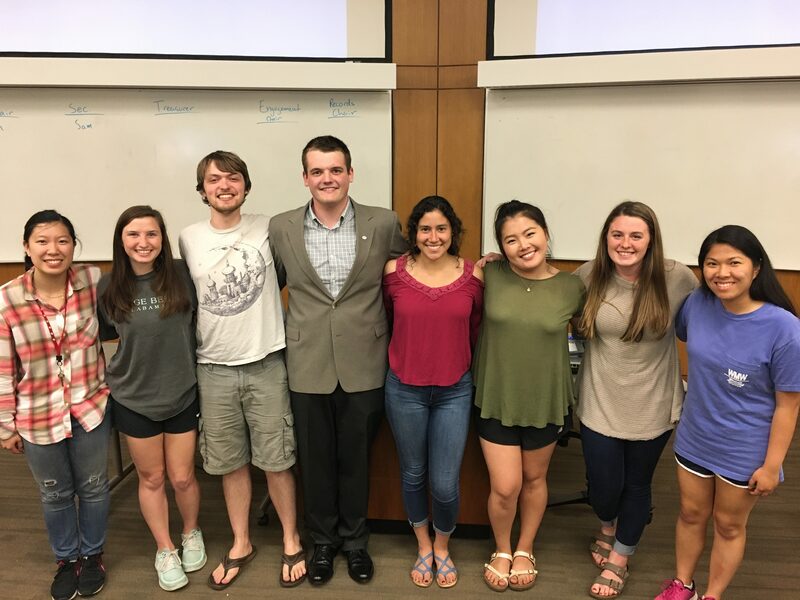 Clayton served as the president of ASME OU chapter in the 2016-2017 academic year. He has led multiple ASME events and has significantly increased membership for this student group. 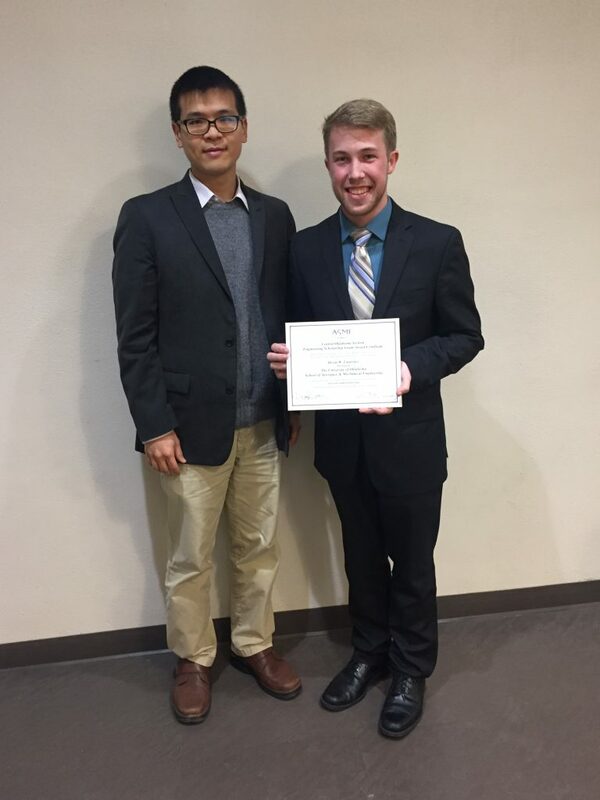 Devin Laurence, junior in mechanical engineering, received the ASME Central Oklahoma Section Undergraduate Scholarship of $500. 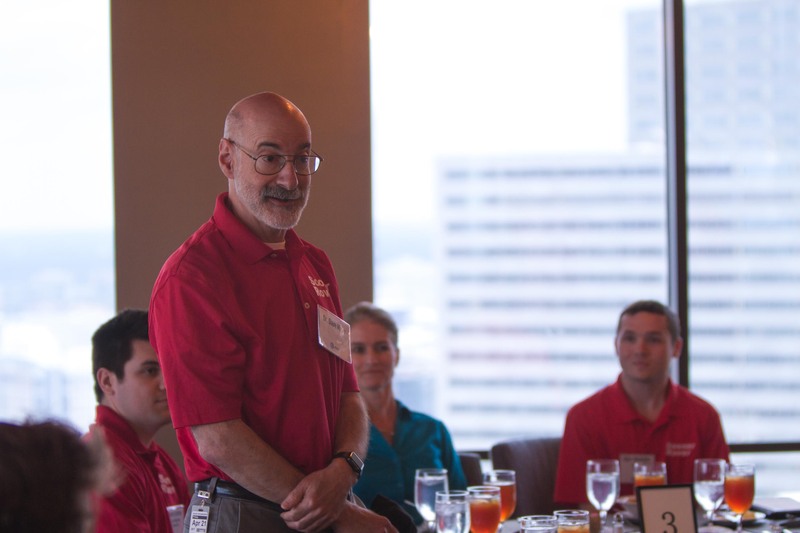 Devin served as the vice president of engagement of ASME OU chapter. He is currently working with AME faculty, Dr. Chung-Hao Lee, to pursue his accelerated master’s degree. He plans to continue his doctoral study after graduation. Please join AME in congratulating these students!